If you are married, take a look at the above picture. Now take your marriage album, open it and take a look at yourself. If you are a guy, look at your wife. 9 out of 10 times the above picture will be there in your album. The make up artists pour paints on the girl's face and say" Only if you have make up like this, it will look good in the photographs". But in reality, your painted face will look the same in the photographs also. In Indian weddings, the bride and the groom will stand for hours at the reception receiving gifts from all the visitors. At the end of the photo session, the bride will look like a Tsunami affected victim. Some brides look like someone threw up on their face. This is why you need to think twice before you select your make up artist. Now let us move away from the bride and let us focus our attention on the maid of honour and all the bride's maids. These days it has become a trend to have at least 5 bride's maids at weddings. All these girls will be wearing a frock (Most of the time). Some of the girls will be comfortable wearing the frock. 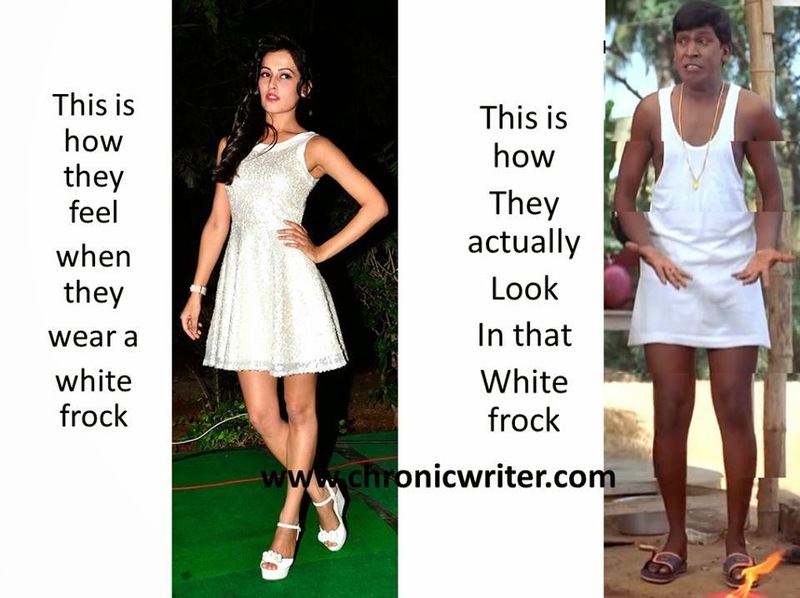 But there will always be that one bride's maid who would be wearing a frock for the first time in her life. We can easily find the culprit by just looking at how they carry themselves on the wedding day. The guys at the wedding will be as usual jollu vittufying at all the girls at the wedding reception. Another gang you can notice in a wedding reception is the group of girls who had coloured their hair for the first time. I don't know what force makes them to take the decision to have those streaks in their hair. Some times they over do their colouring act and appear as if they are in a halloween party. Finally, a wedding also throws surprises for us. 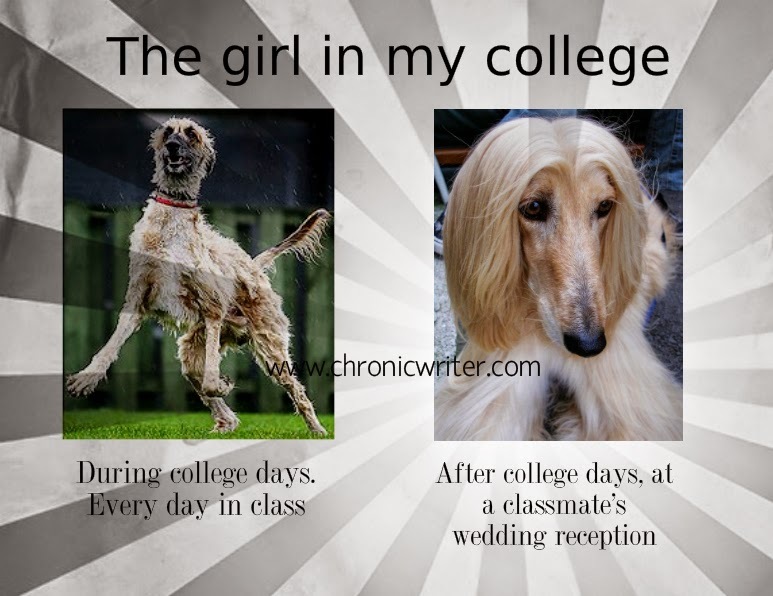 When we are all dejected looking at all the extra make ups done by the girls, our eyes would finally land up on that one girl whom we all failed to notice during our college days. She would walk with such an elegance that would make us all think "How did we fail to notice her during college life?" 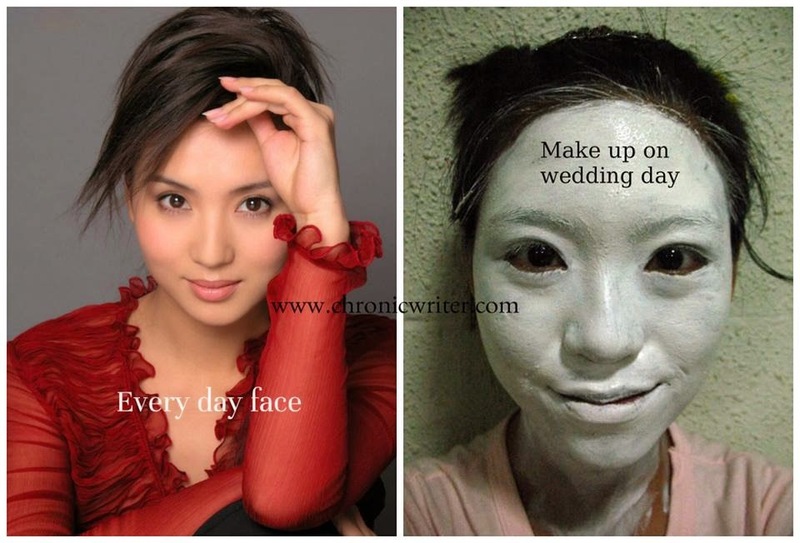 That is exactly why I chose not to hire a makeup artist and do my own makeup on my wedding day!